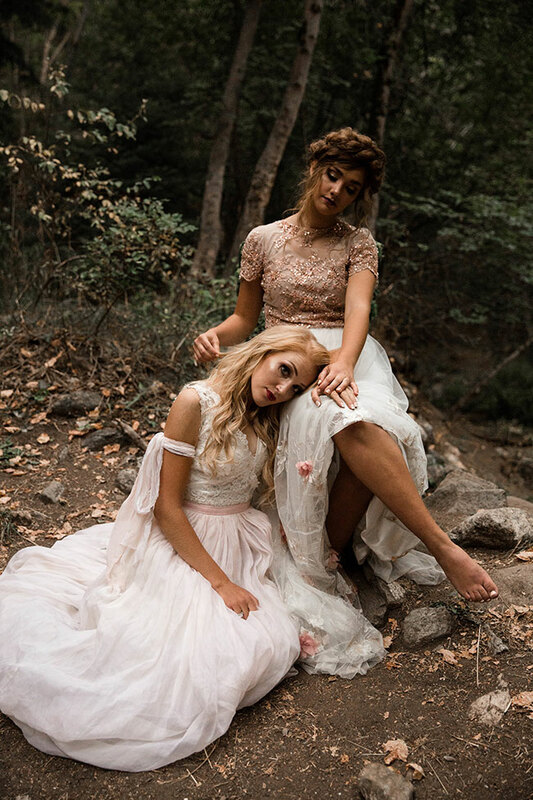 If you’re not yet already in the Halloween spirit, today’s feature created by Lexilocks Hair will most certainly get you there! 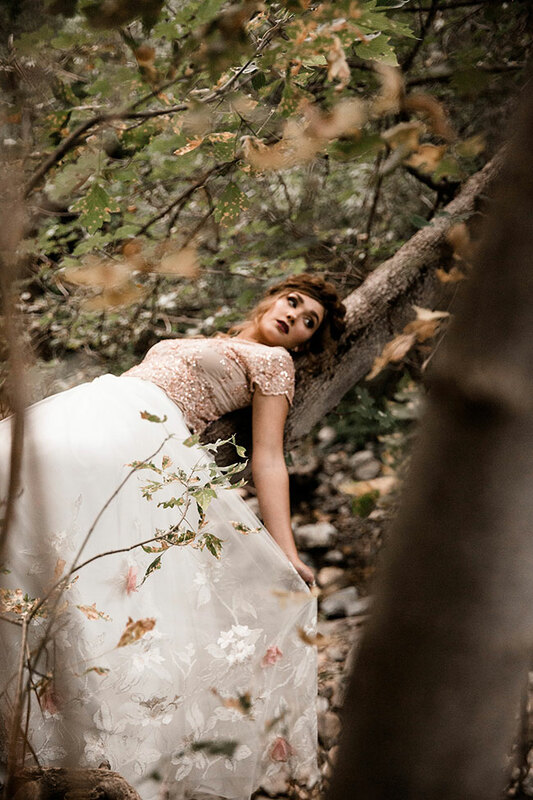 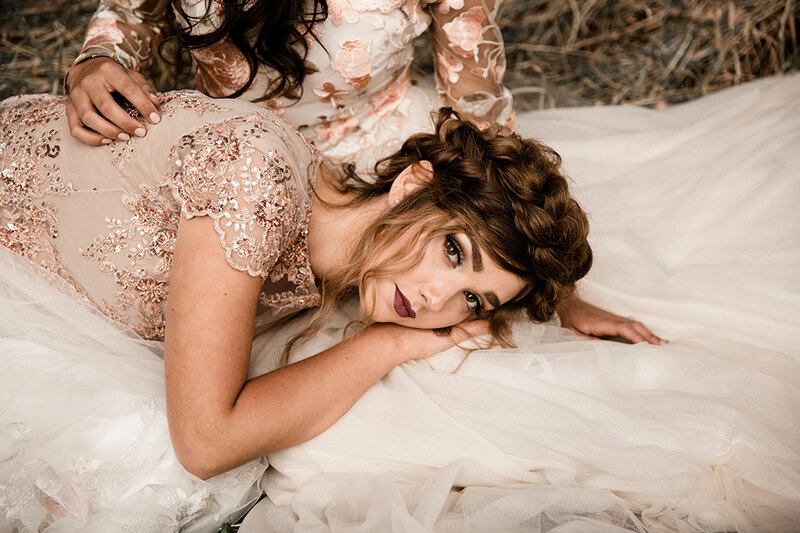 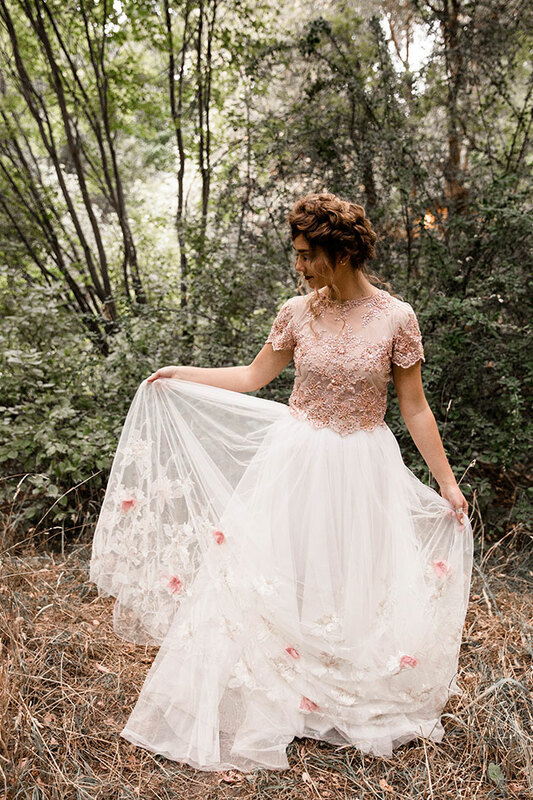 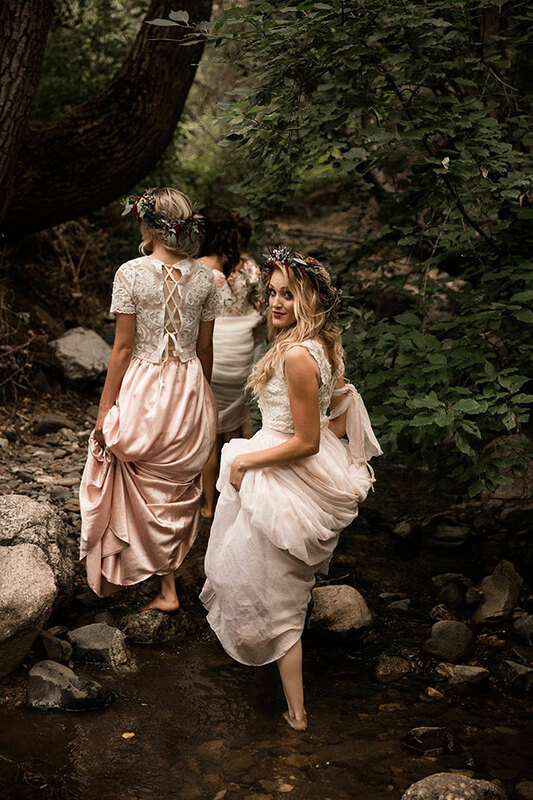 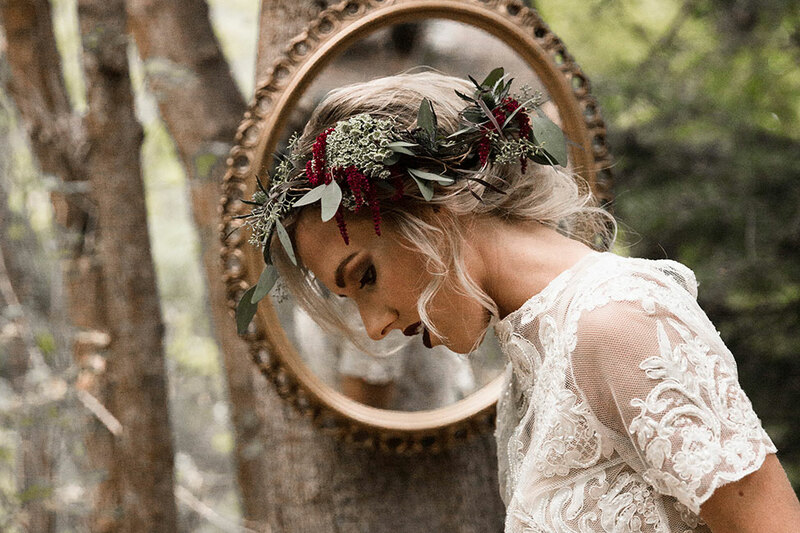 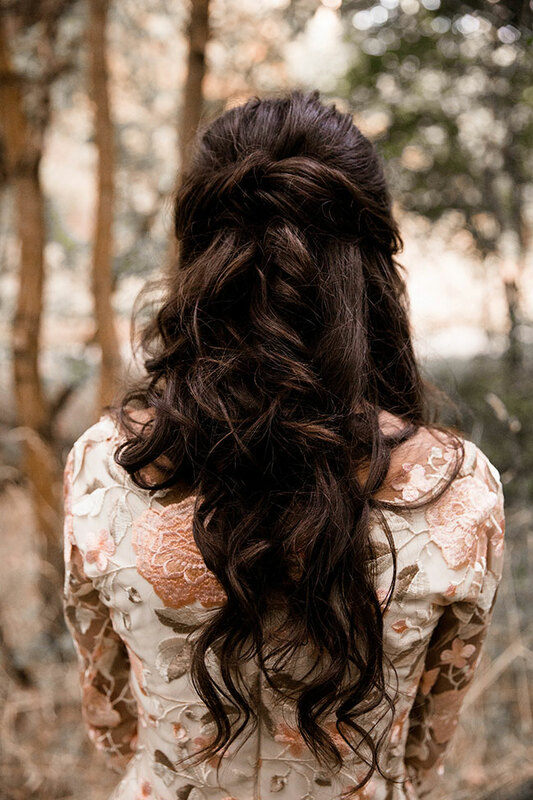 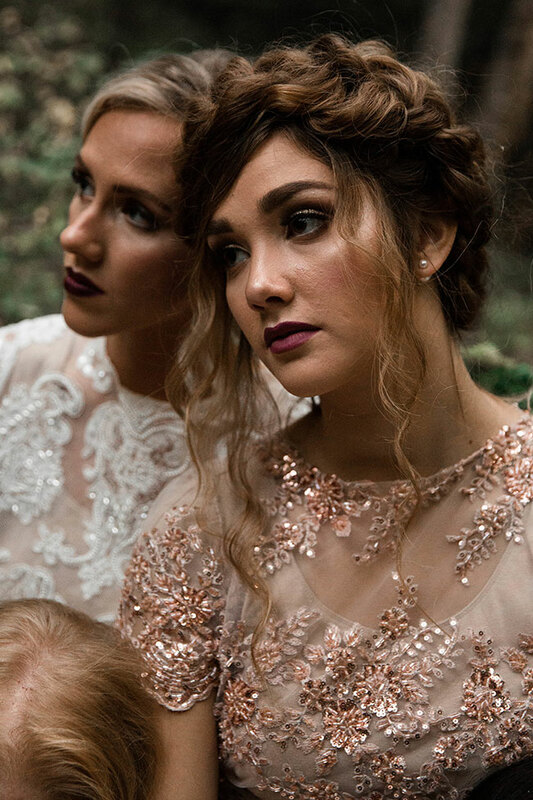 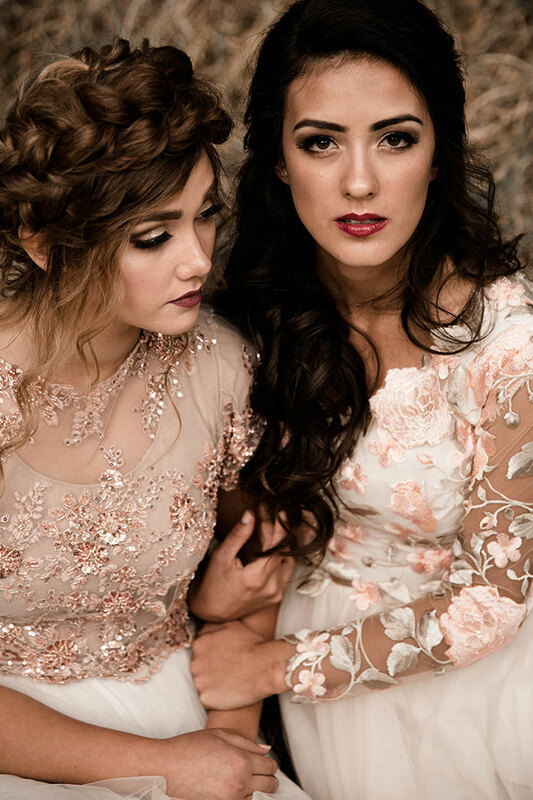 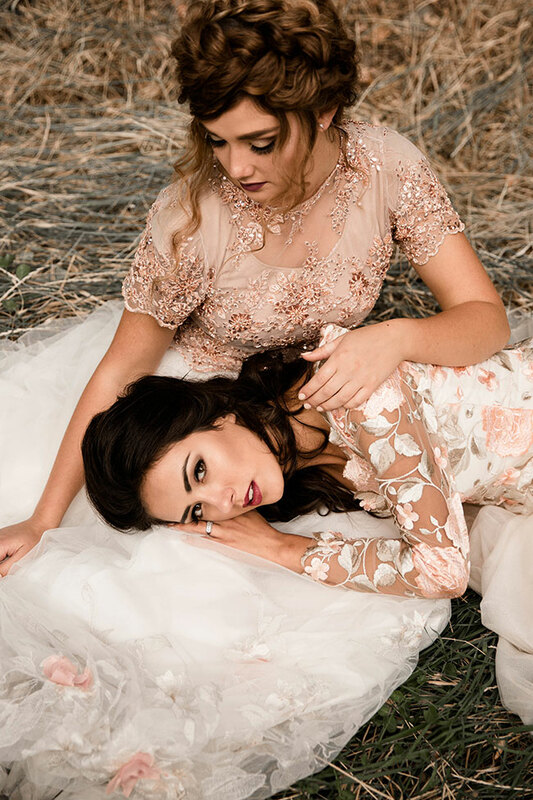 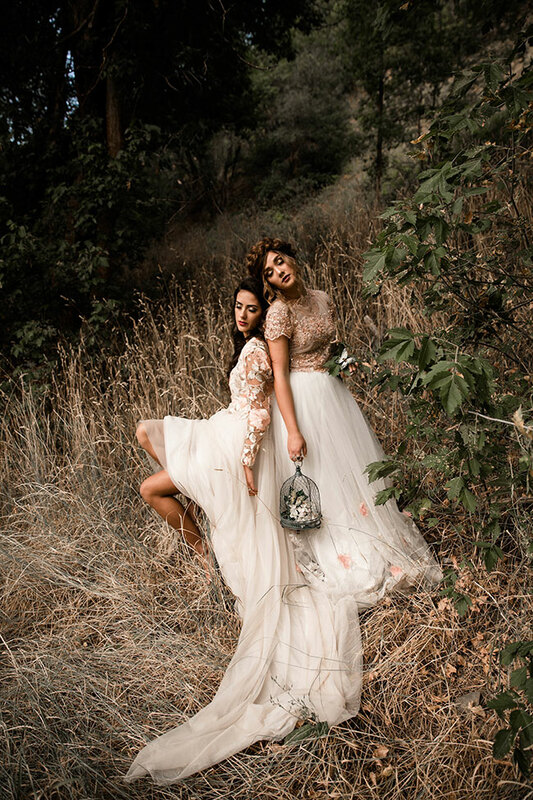 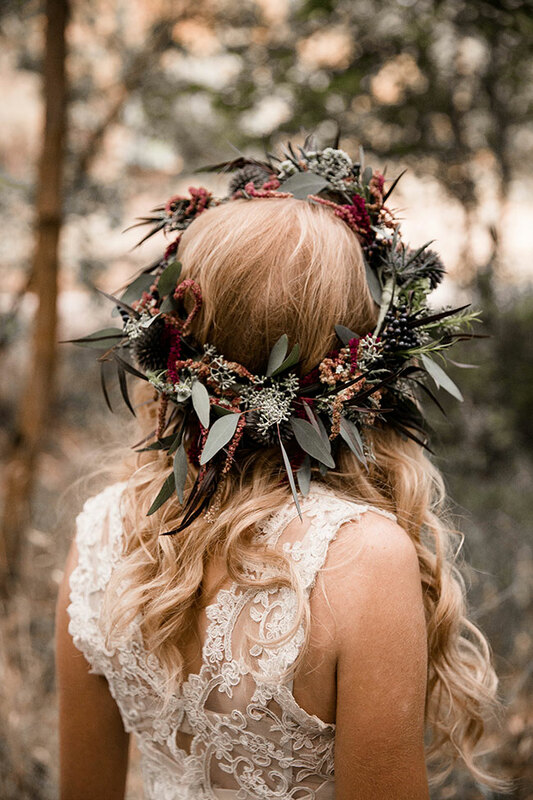 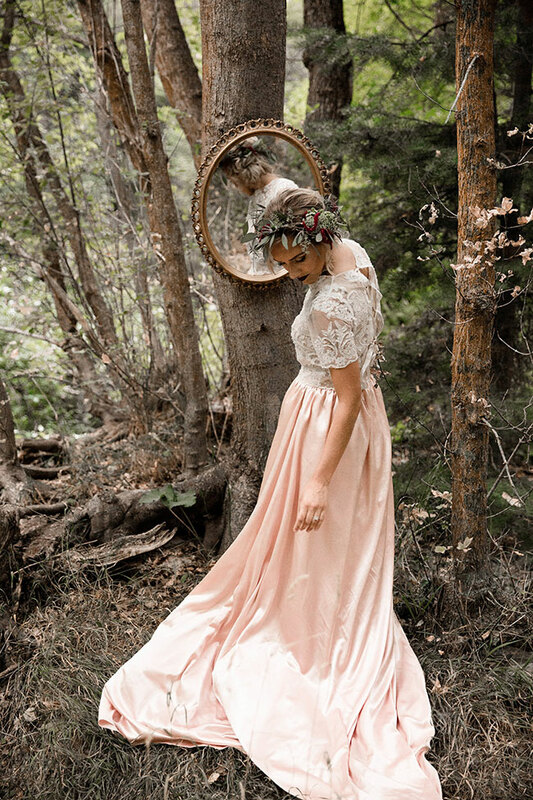 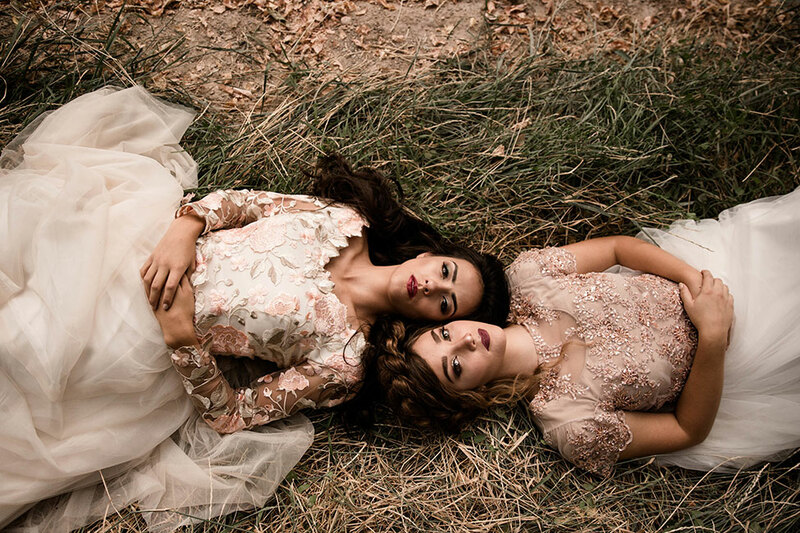 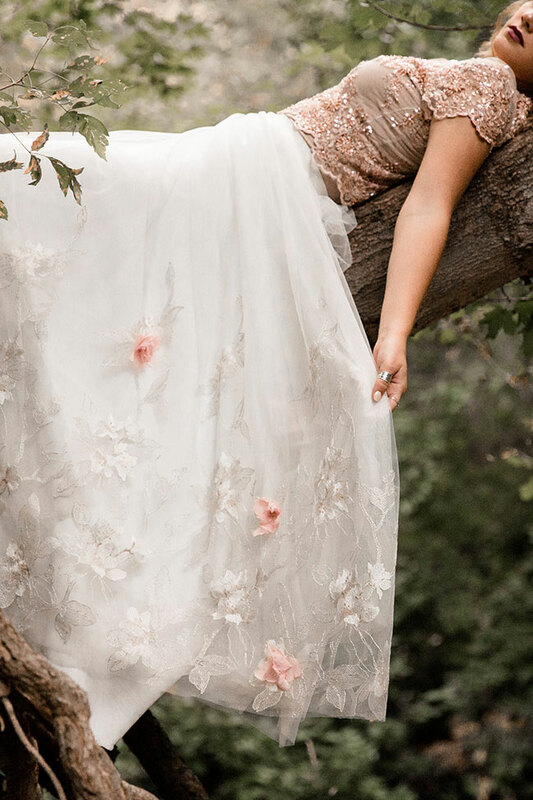 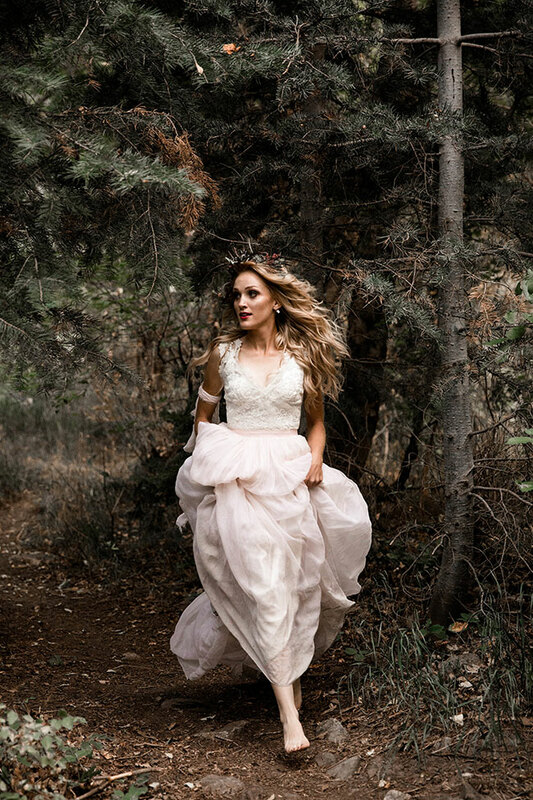 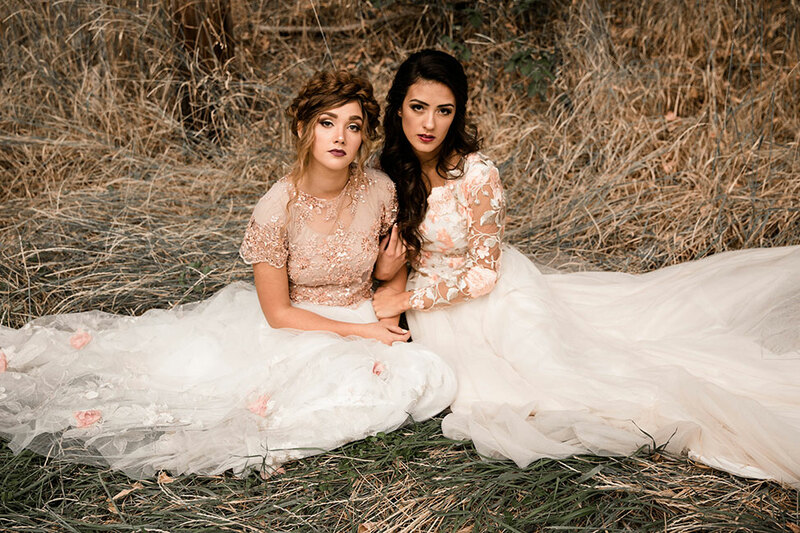 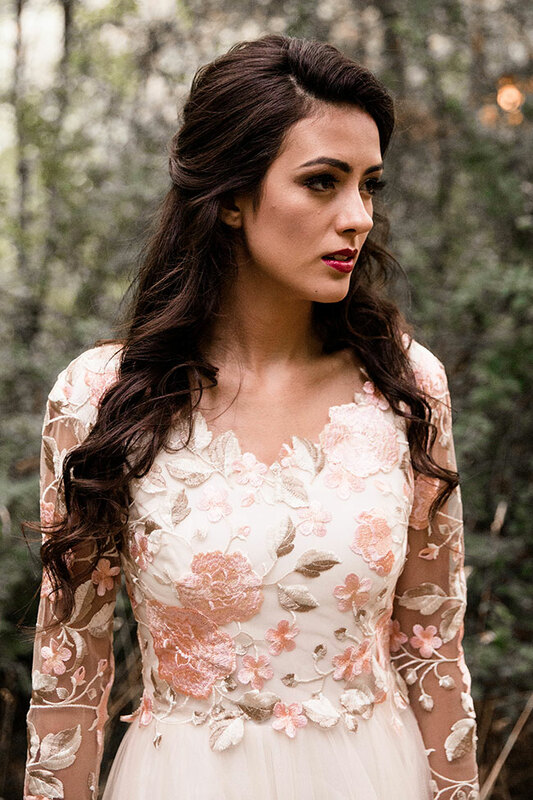 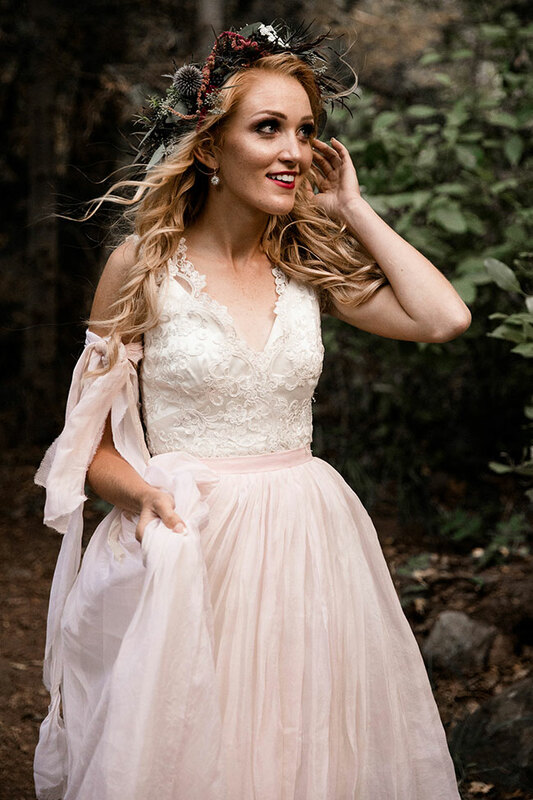 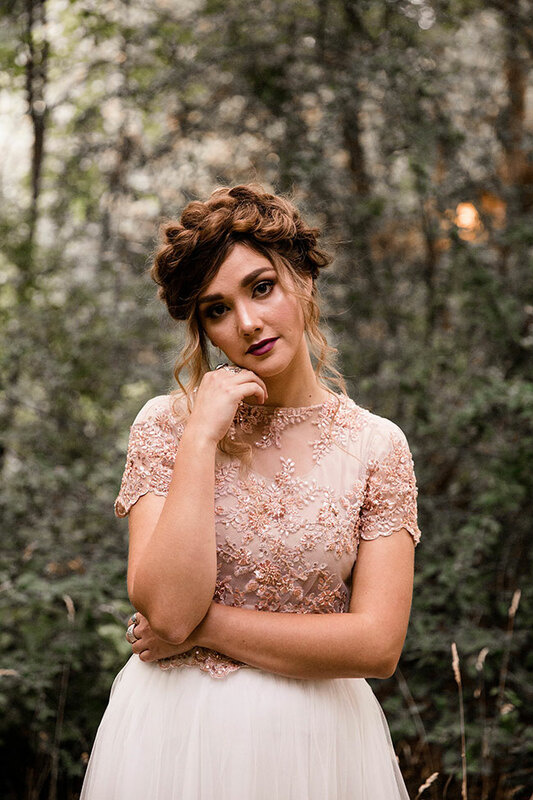 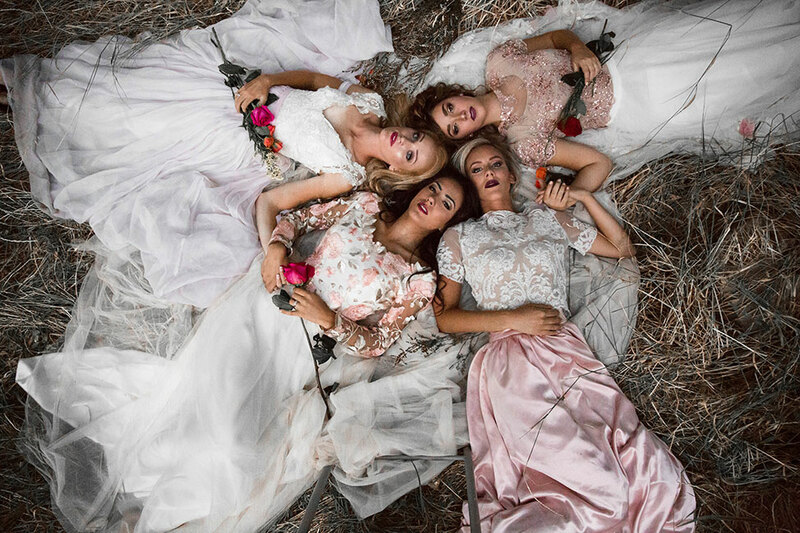 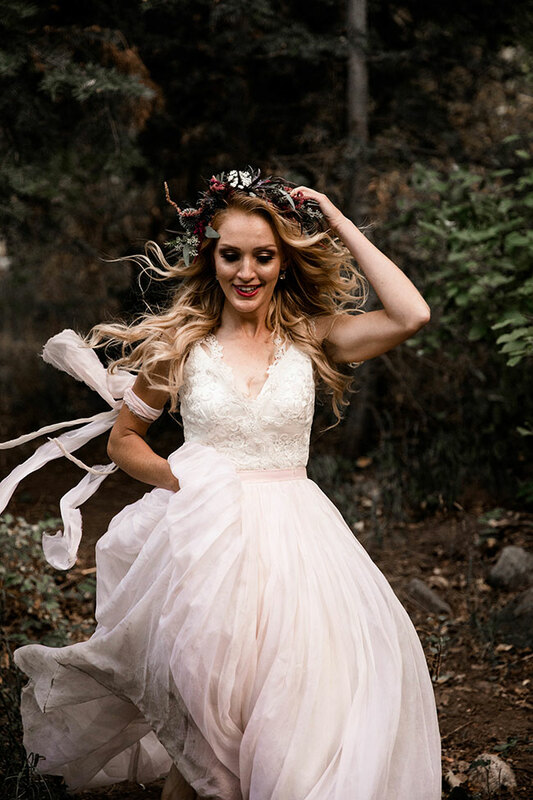 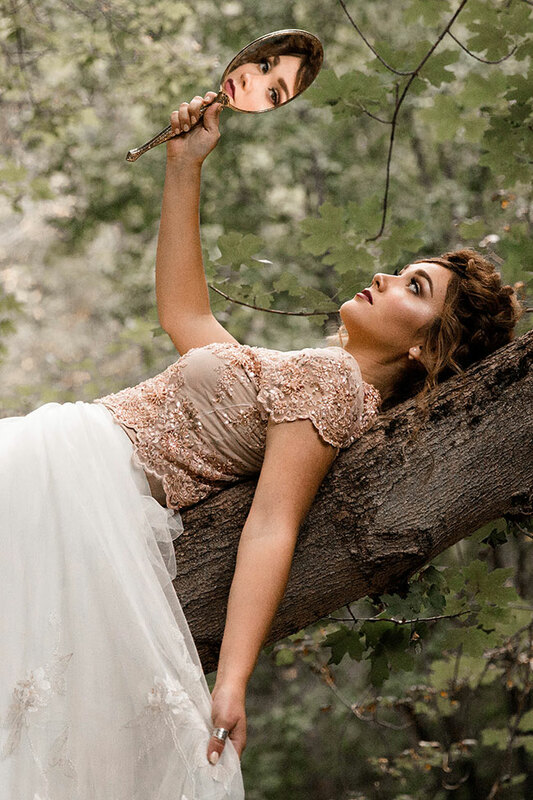 Set in the Utah Mueller Park Canyon woodlands, this styled shoot is all about gorgeous enchanted bridesmaid style. 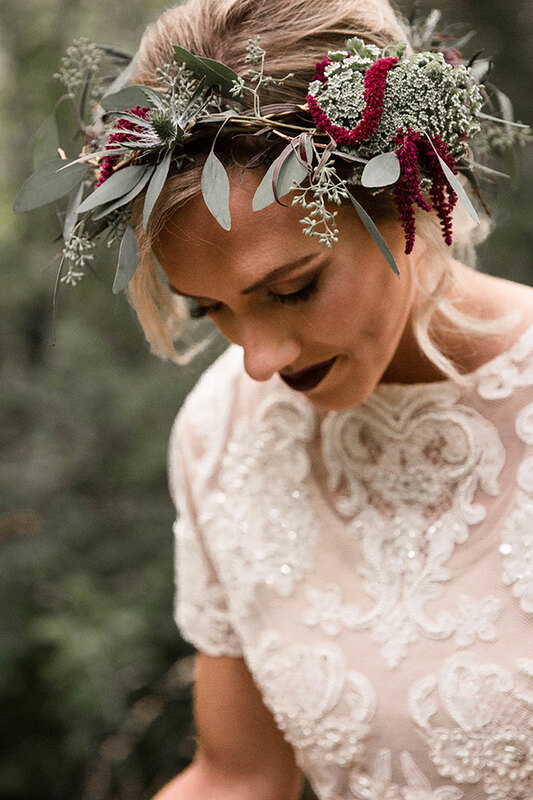 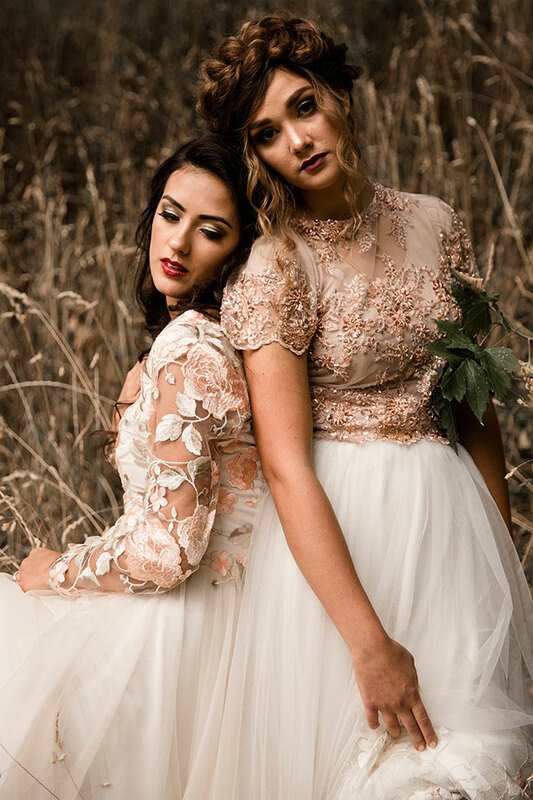 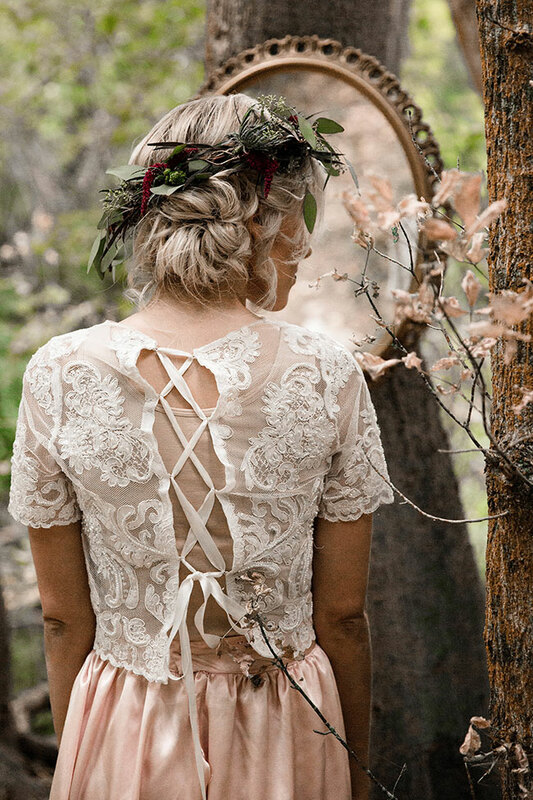 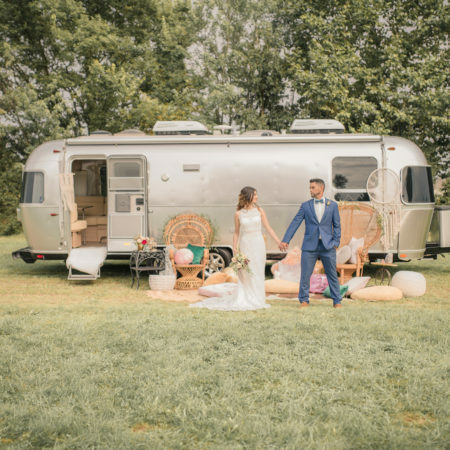 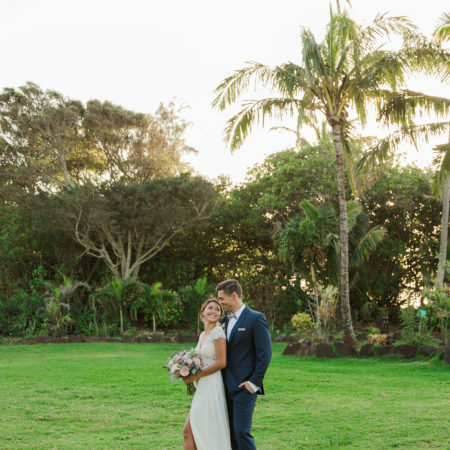 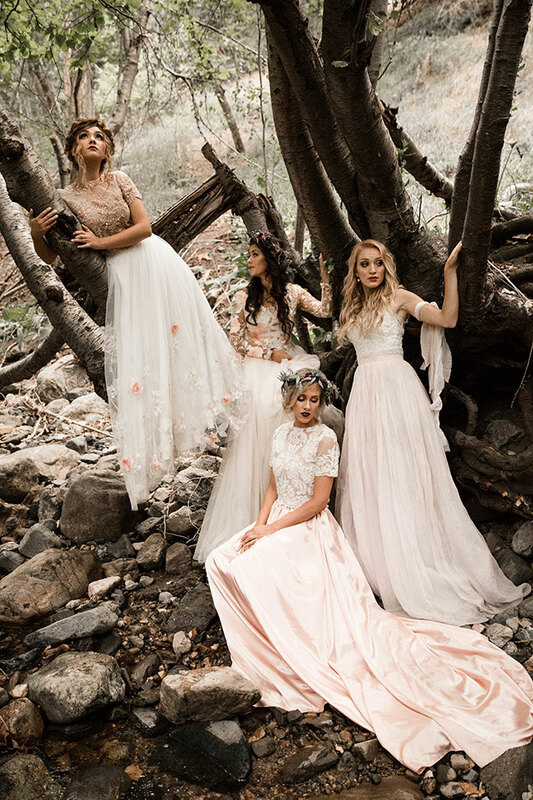 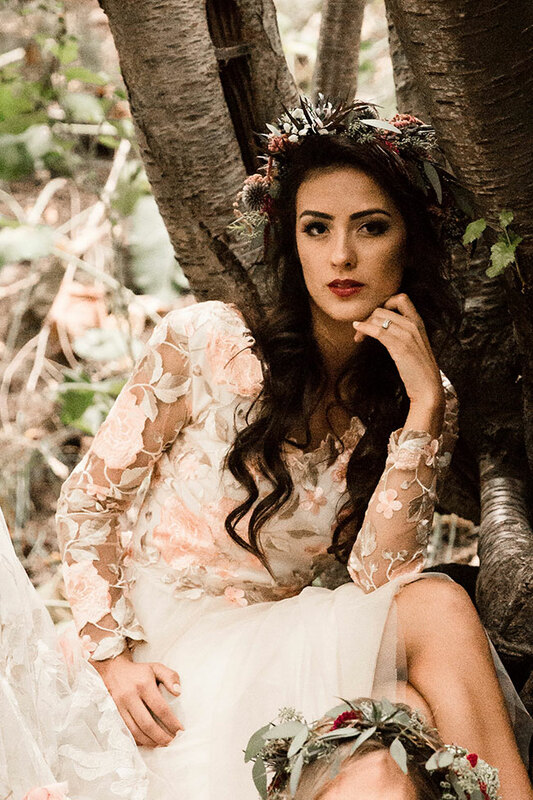 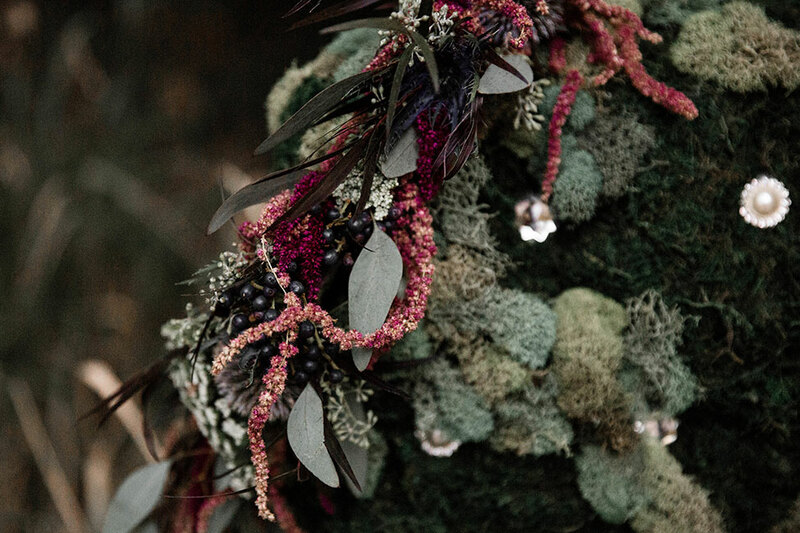 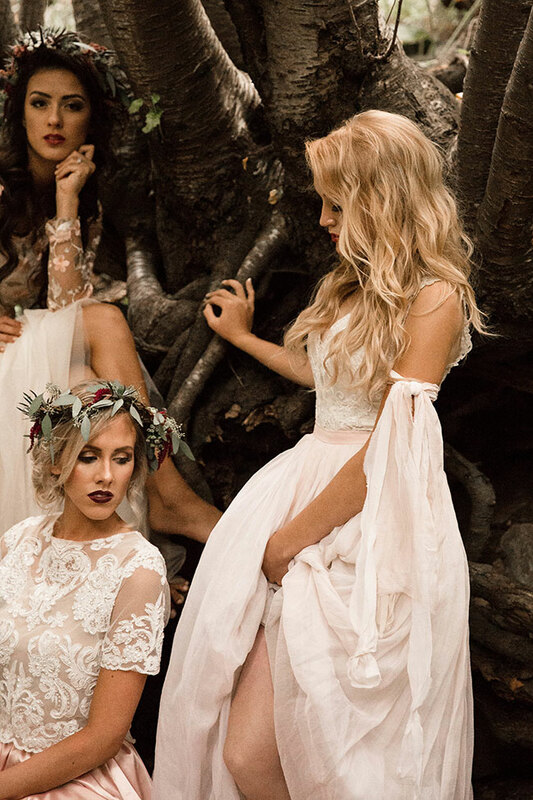 Featuring 4 bridal looks that revolve around long flowing fabrics, these beauties will inspire the next generation of boho wedding. 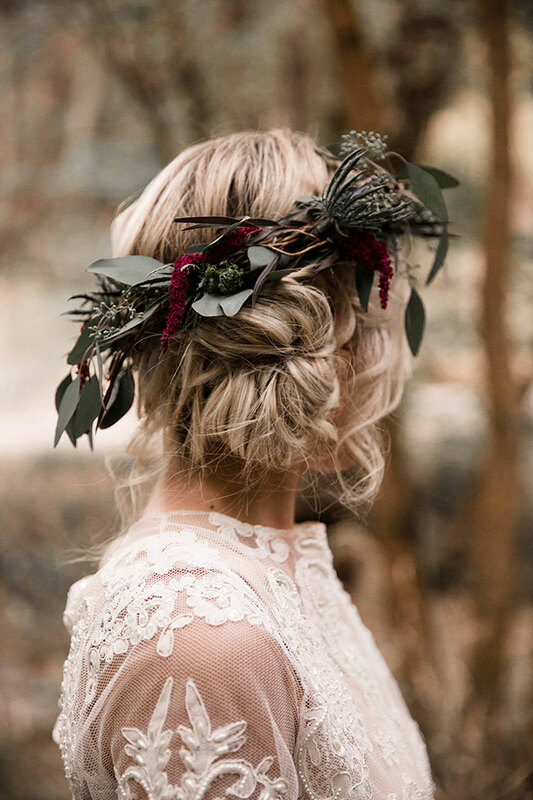 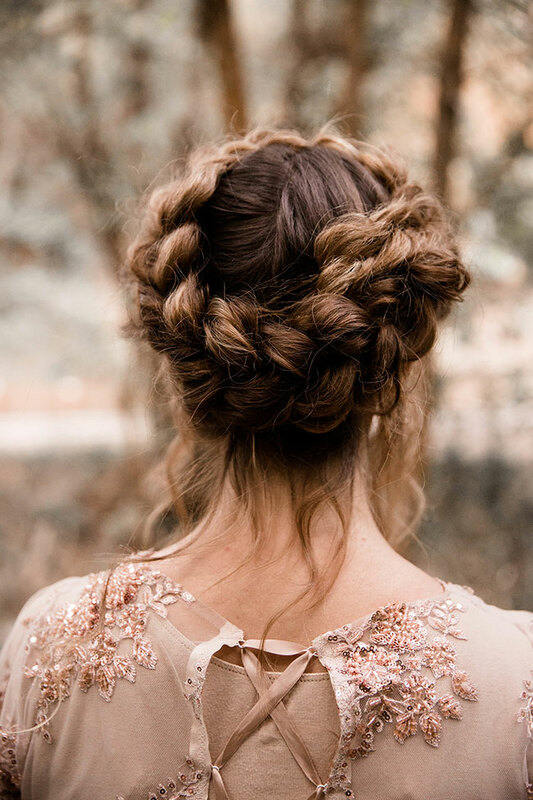 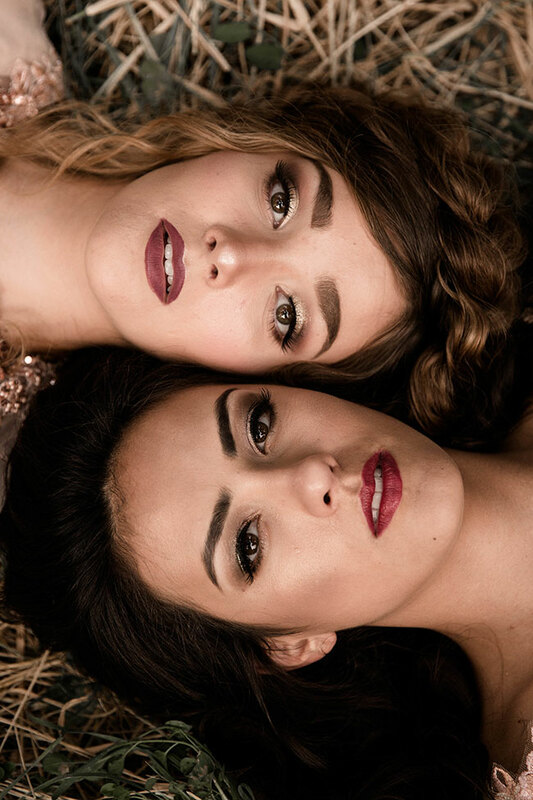 Romance and enchantment run high, while real world detailing like tumbling locks and dutch braid updo’s draw us in. 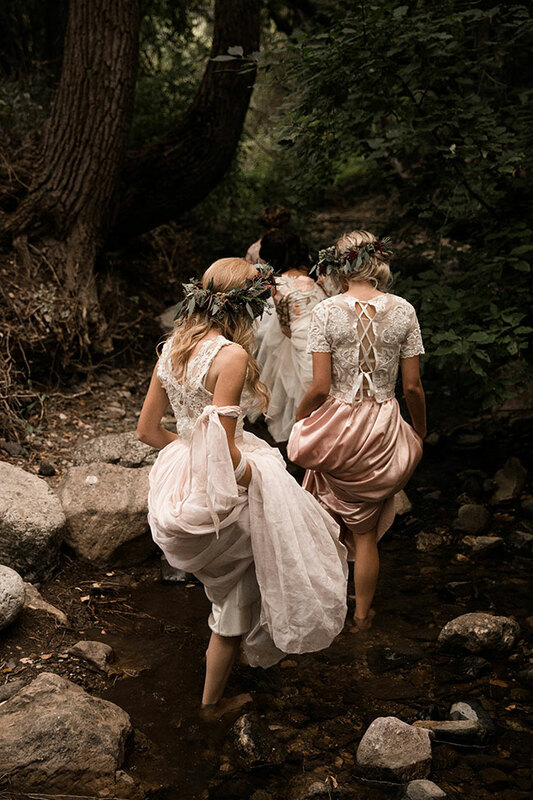 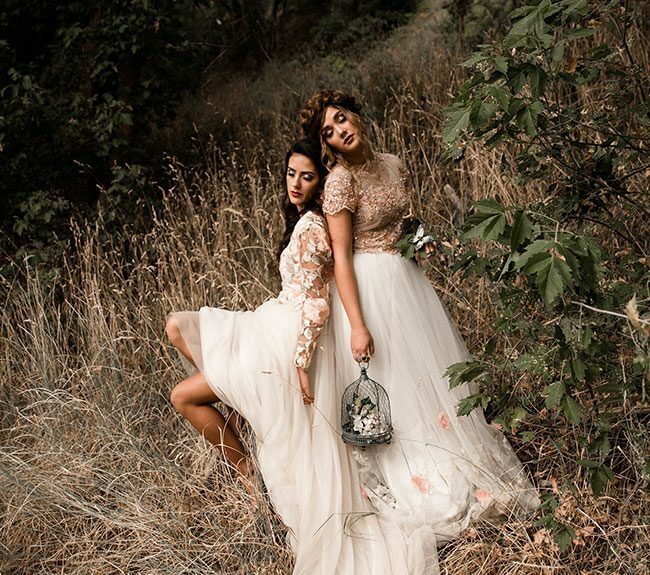 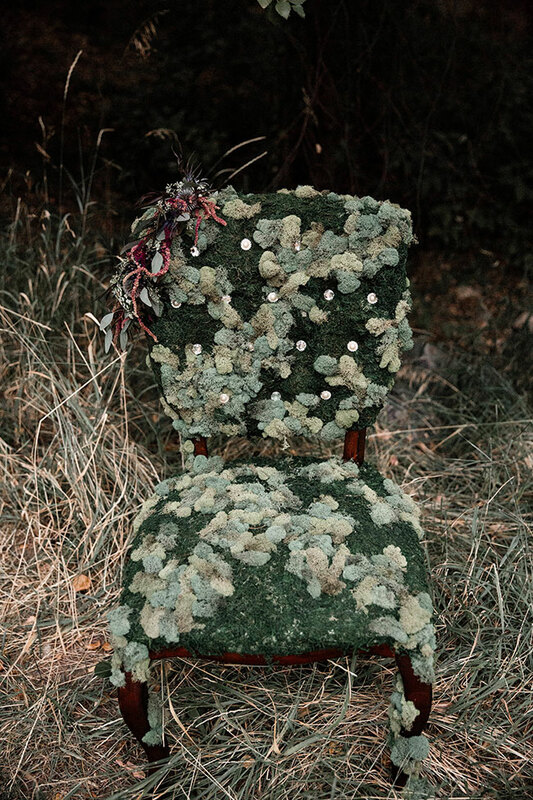 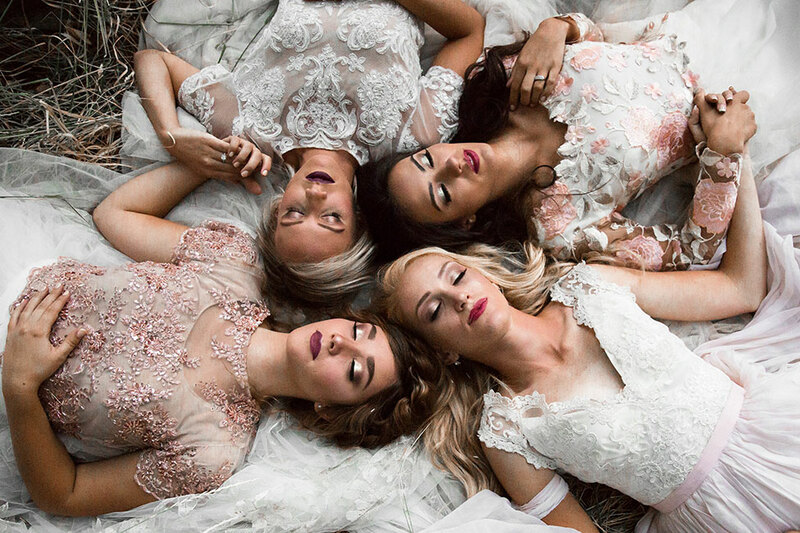 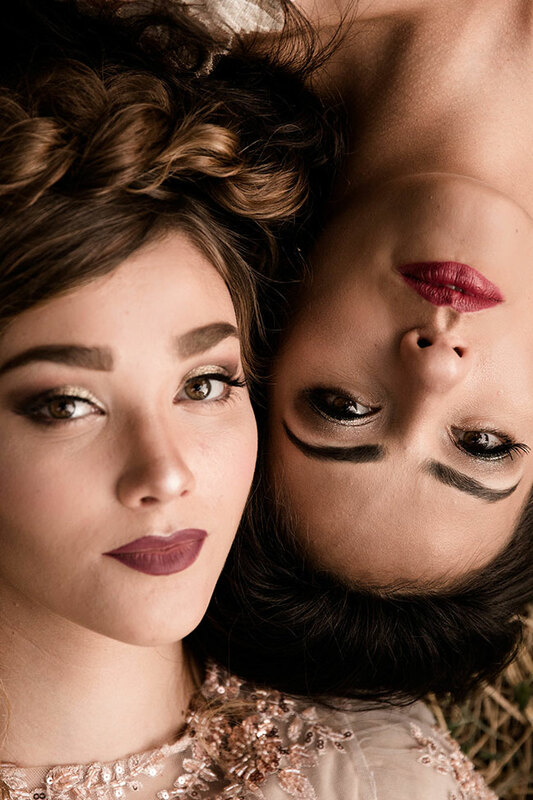 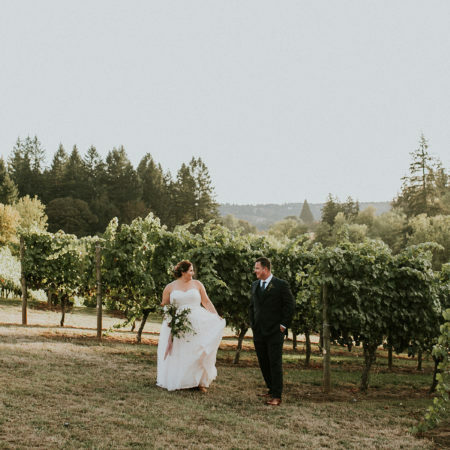 Wedding photographer Mapping Light Photography does an otherworldly job of allowing the dark and moody to be front and center, that when paired with their woodland surroundings, you cant help but feel the enchanted bridesmaid sirens call!